Forcibly taking children away from their parents? This seems too cruel to be real, but this is exactly what the Trump administration is doing to immigrant families at the border. In fact more than 100 children as young as 1 years old, are being separated from their parents, and more than 700 children have been taken from their parents so far since October 2017. 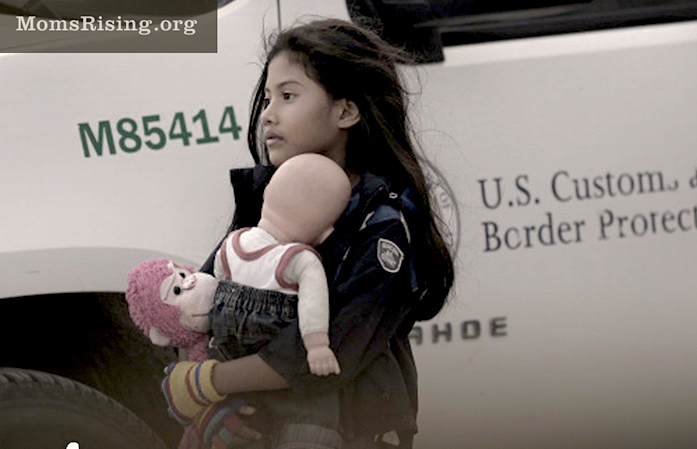 Separating young children is unspeakably cruel and inhumane. This is not who we aspire to be as a nation. Help us stop this by writing a letter to the editor telling Congress and D.H.S. Secretary Kirstjen Nielsen that we strongly oppose separating infants and children from their parents. The Trump administration has been separating children from their parents to discourage families from seeking asylum in the United States. Highly credible news reports indicate that more than 700 children have been taken from parents at our borders since October, including more than 100 children under age 4?! That’s outrageous! Most of these families are seeking asylum, which is their legal right, protected by law. This practice is heartless and it violates basic rights. Separating children from their parents not only traumatizes the children, but it creates a toxic culture that tolerates cruelty to children. That’s not the America I want. Congress and the administration need to do what’s right by protecting immigrant children from being separated from their families..
Welcoming immigrants has long been a source of strength for our country. Asylum-seekers deserve compassion, dignity and respect. The heartless treatment of refugee mothers and children must end. Separating mothers from their children does not represent the values we teach our children -- or what we aspire to be as a nation. The Trump administration’s anti-immigrant and anti-refugee actions harm our families, communities, economy and country. ● Refer to a recent event in your community or to a recent article – make a connection and make it relevant. ● Use local statistics and personal stories to better illustrate your point. ● Keep your letter under 200 words. ● Make sure your most important points are in the first paragraph. Subject: Separating Families is Inhumane!